Pakistan Army site (pakistanarmy.gov.pk) and Three Facebook pages hacked by an Indian hacker 'Godzilla'. Hacker told 'The Hacker News' that, using a CMS vulnerability they got access into the Pakistan army website using credentials i.e. Username: mag_admin password: #$%modern! . 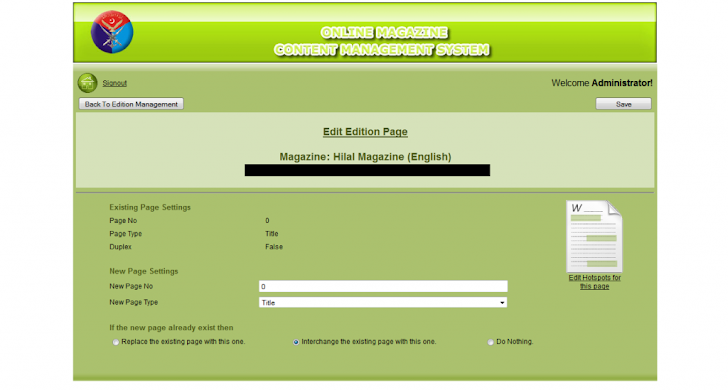 Then they left a malicious PDF magazine document in their content management system of magazine portal for the Pakistan army, which was later clicked by the Administrator and that installed a piece of malware on the administrator’s computer. "For security they have taken down the login page of content management but failed to remove my backdoor" hacker told The Hacker News. Using an infected system of the Administrator, he has also gained unauthorized access to three Pakistan Army Facebook pages. "We managed to delete the pages completely but Facebook has very good option of recovery they change the graph path after deletion so Pakistan army got their pages back. But due to attack these pages were banned for Indian IP. That's a shame on Pakistan." Hacker said. "We know they always lie in India but this time they lied to all Pakistani people. "Schedule Maintenance..." shame on you Pakistan army." hacked told The Hacker News. "WARNING: Stop Crossing LOC, if you can fire then we can bombard." The Hack was performed against the shameful action of Pakistani troops, entered Indian territory along the Line of Control in the Poonch sector in Jammu and Kashmir and ambushed a patrol killing five Indian soldiers.